It’s time for another Cute Outfit Ideas of the Week! YAY! Without a doubt, the most popular Cute Outfit Ideas post is the one where I featured the color yellow. You guys must really, really like the color yellow. It is a great color after all. Another color that I love is mint and with winter wrapping up (in my crazy mind anyway), I’m focusing on outfit ideas for spring. 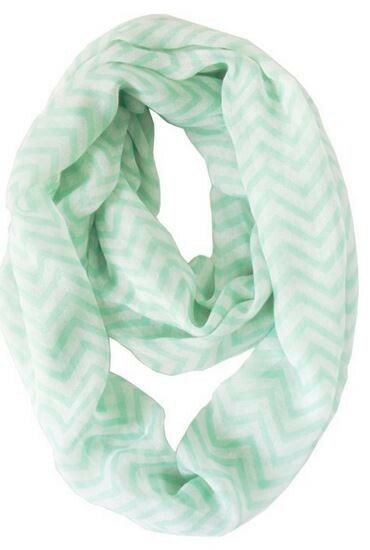 So today’s cute outfit idea feature is dedicated to the color mint! This mint dress is simple, yet beautiful. Pair it with the belt, sandals, simple jewelry and you are set for a date, a day of shopping or relaxing on your Spring Break Trip. I still wear scarves in the spring for a number of reasons. They can take a boring outfit from drab to fab. (I love that saying.) There is still a chill in the air at times. I have an obsession with scarves. Because I feel like it. All four of those are valid reasons. Are words even needed for this dress? No, I don’t think so. The name of it and the picture says it all. Add touches of mint to your outfit with accessories. This gold bracelet would be perfect for an outfit with a mint top or as a pop of color for a scaled down outfit with no mint to show for what-so-ever. Another scarf because, well, look at it! Do you have a color you absolutely love to wear each spring? Or maybe a color you don’t usually wear but you’re going to go for it this spring? Let me know!